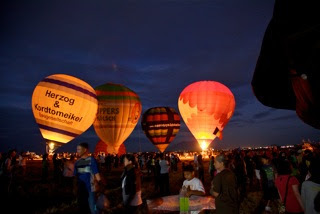 Balloons and outdoor adventures are ready to pump up the excitement for the 17th Hot Air Balloon Fiesta to be held in Clark, Pampanga on February 9 to 12, 2012. It will feature exciting aerial exhibitions including skydiving, paragliding and aerobatic stunts. R.O.X., Southeast Asia’s Biggest Outdoor Superstore for top of the line outdoor and recreational gear, is one of the major sponsors of the festival this year. R.O.X. will setup a booth and a recreation area inside the festival grounds to entertain and help keep spectators properly geared up for the annual event. Expected here is the scorching heat of the sun, one should always stay protected from sunburns and properly hydrated. R.O.X. booth will carry sun protection gears to to protect us from harsh elements. They also have an array of bush hats, baseball caps and sunscreens, that we can use, as well as water bottle from Nathan & Nalgene and Coghlans Water Bottle Carrier. In ensuring that spectators are comfortable watching the show, the Alite Monarch chair, Coghlans Foldable Chair and Coghlans Mini Fan will be there too so that you get the best seats in the house. This event is not just about hot air balloon, there are outdoor games prepared for everyone. Enjoy the fun with Zing Toys, which includes exciting outdoor catching and throwing toys. Cash vouchers, stickers and mini prizes will also be given away to lucky R.O.X. booth visitors. R.O.X. will also have a wall climbing activity that is open to the public for a minimal fee of P50.00 per climb. R.O.X. customers can use the facility for free. All they have to do is just present their official receipt purchased from January 15 to February 12, 2012.